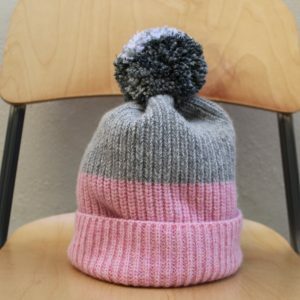 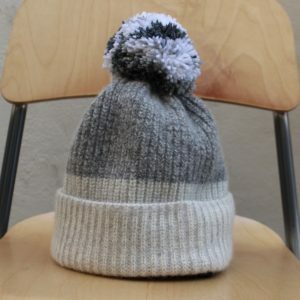 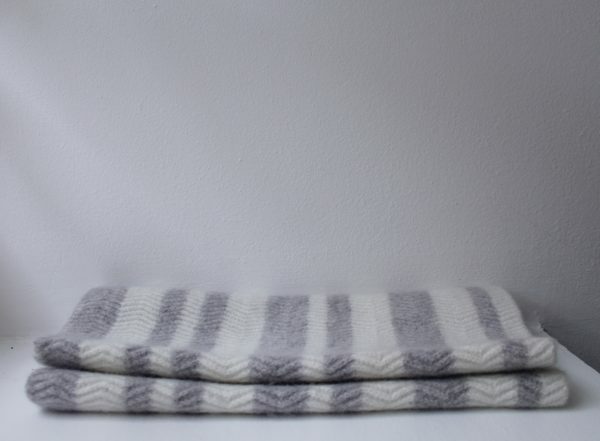 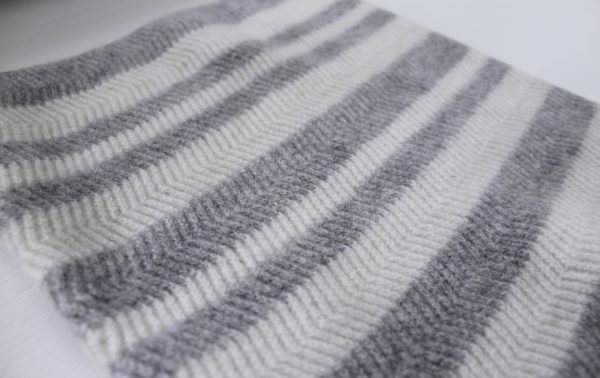 Featuring a textured herringbone pattern with grey & white stripe the fabric is light, breathable & warm. 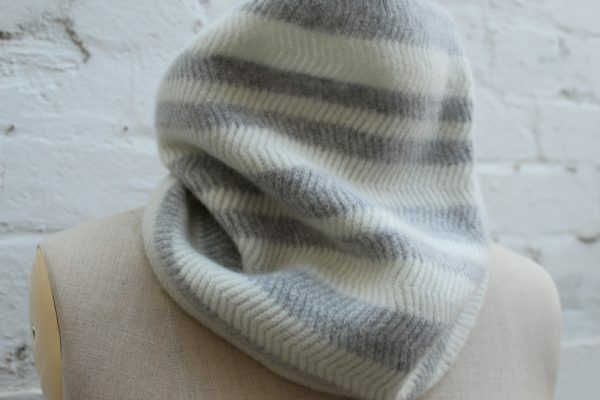 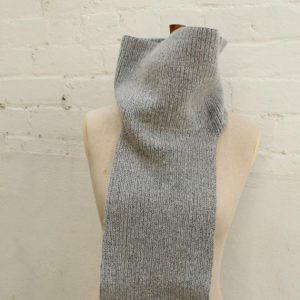 This piece can be worn up around the face, or folded more softly. 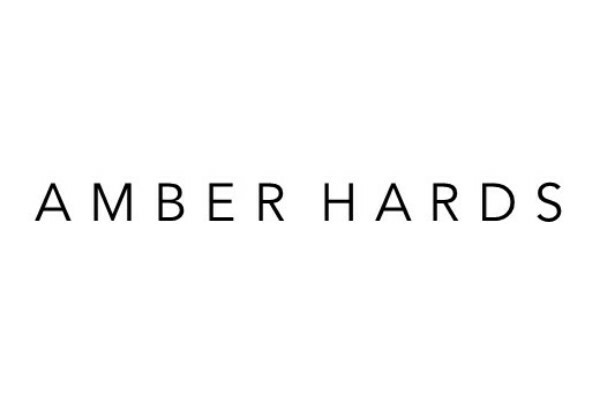 The clean lines allow this piece to work well with any minimal wardrobe, and is designed to work with any colour. 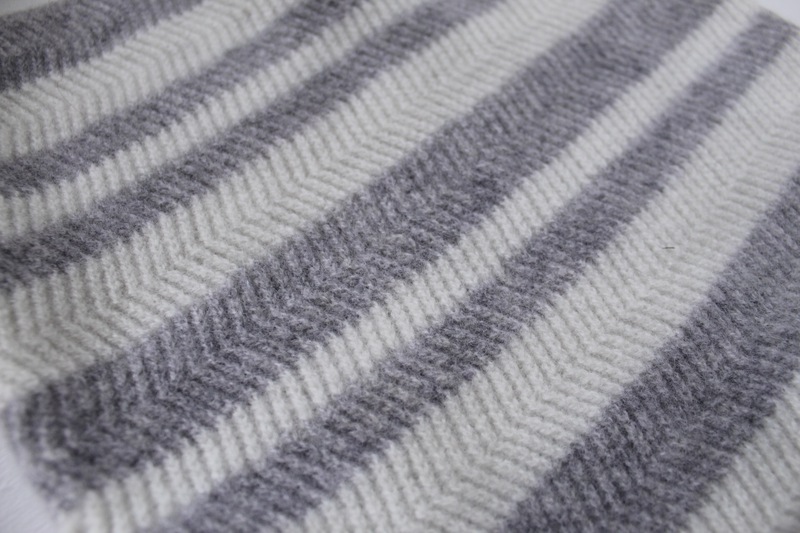 After construction this piece is washed to bring out the full softness of the fibre. 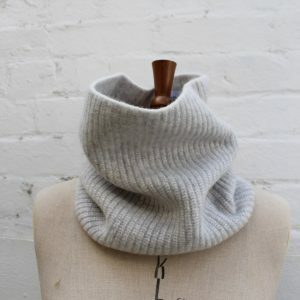 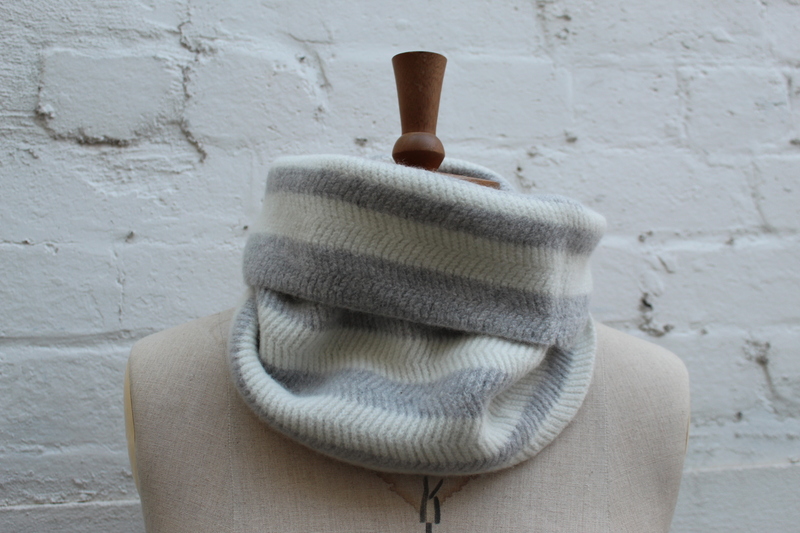 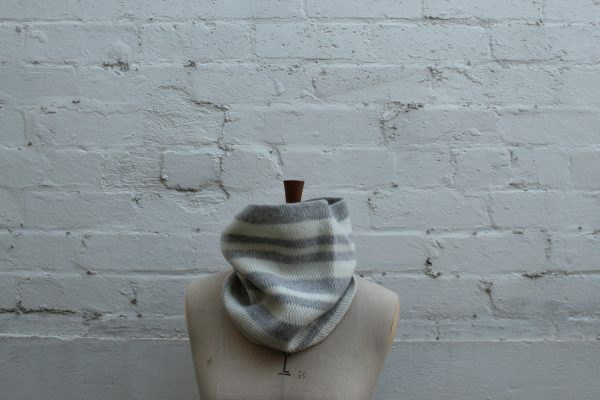 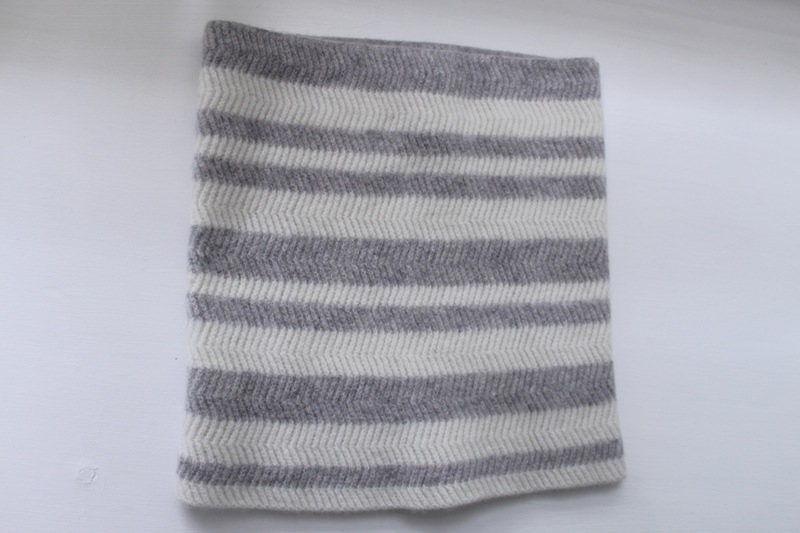 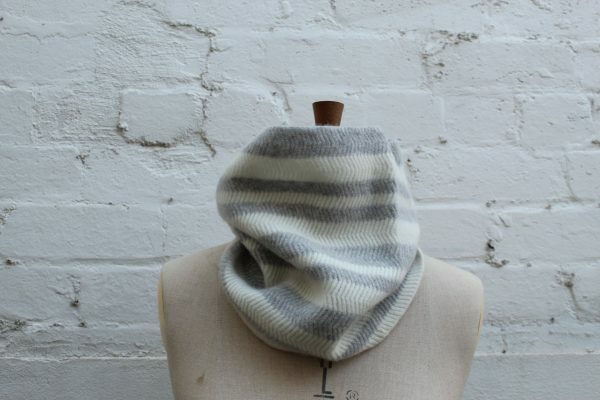 Stitched & finished by hand this snood is made beautifully.